Let the organic eucalyptus oil in this liquid soap help clean your sinuses and open your pores while it surrounds your body in its refreshing vapours. All oils have been certified organic by the National Organic Standards Program. In addition, the Dr Bronner bottle which contains the soap is made out of 100% post-consumer recycled plastic bottles. 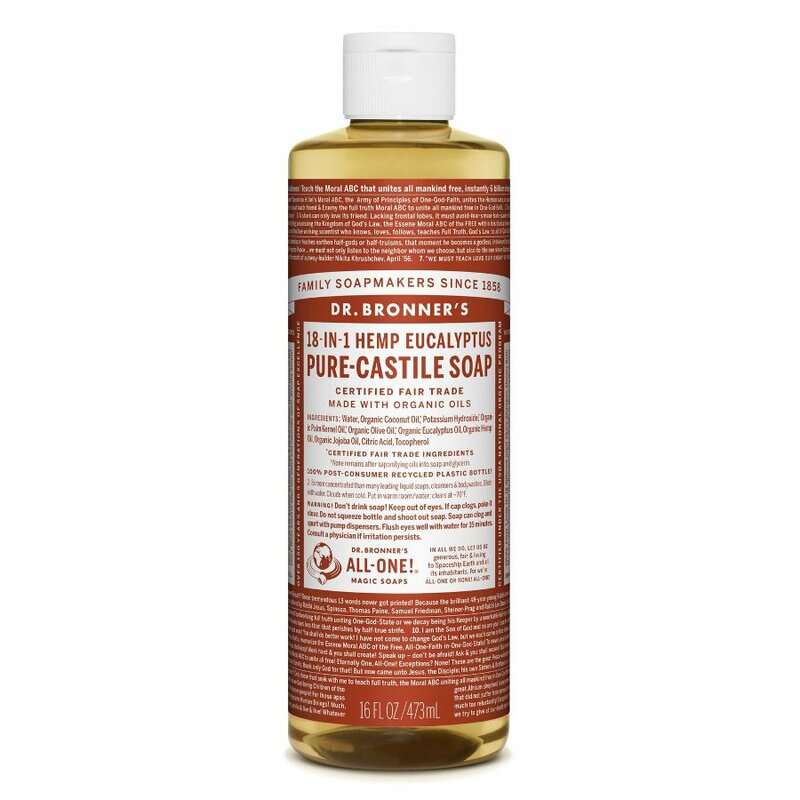 The Dr Bronner Organic Eucalyptus Castile Liquid Soap - 473ml product ethics are indicated below. To learn more about these product ethics and to see related products, follow the links below.